MODULAR DESIGNED CRANES MANUFACTURED TO YOUR SPECIFICATION - Why be limited by standard kits? Manufacturers of MET-TRACK® Workstation Bridge Cranes, Workstation Jib Cranes and Workstation Monorails. Metreel have been providing lifting solutions for nearly half a century and have experience with all industry sectors. The renowned MET-TRACK® enclosed track profile has been sold for many years in the USA and is used in various lifting/handling applications. 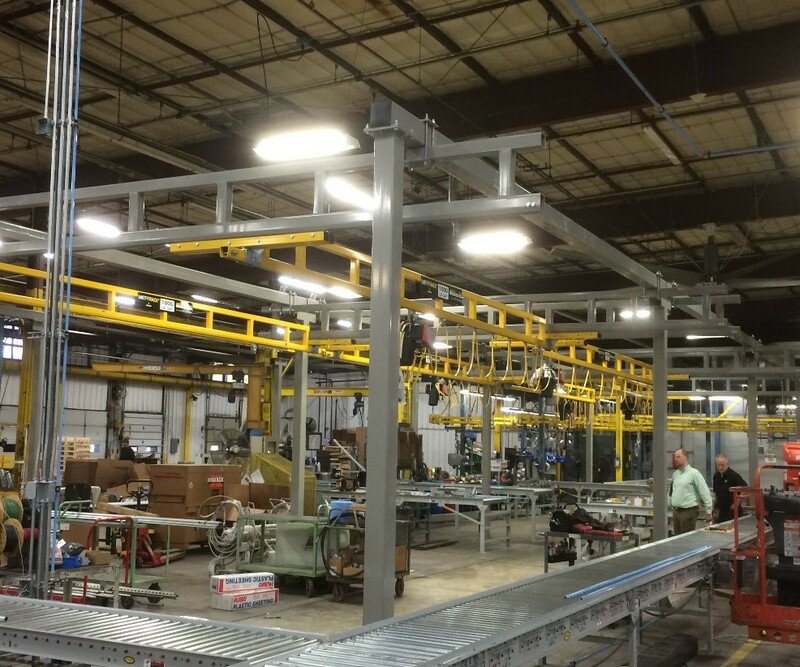 The MET-TRACK® crane system follows on from the success of this profile and offers customers one of the BEST lightweight workstation crane packages. 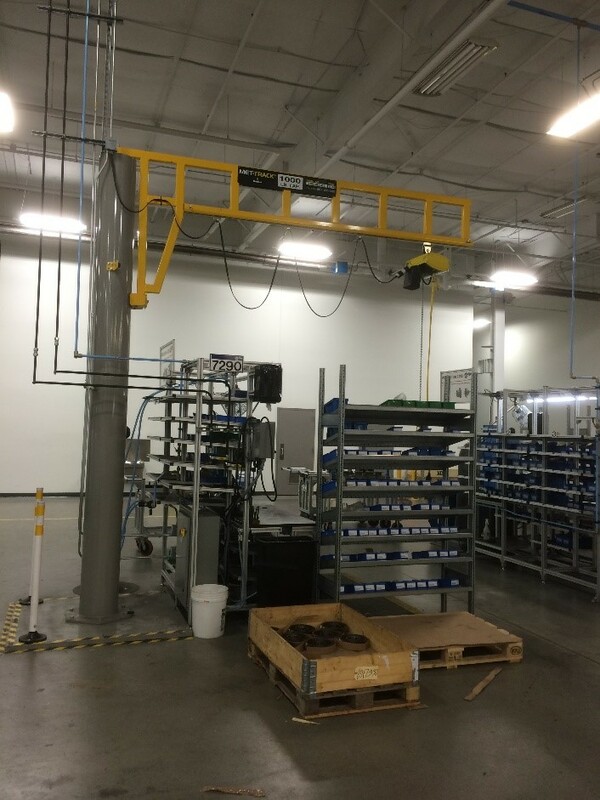 The MET-TRACK® crane systems enable you to achieve effortless and reliable area-serving overhead handling for a wide variety of applications. Each system is configured with the operator in mind and includes the principle feature of ease of movement. Designed to reduce fatigue and ensure accurate load positioning. 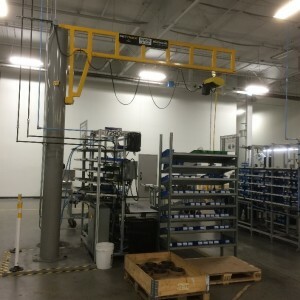 Mounting to the floor means that it is not a permanent part of your factory and can be easily relocated if necessary. The installation is often much simpler and does not apply stresses to the building roof structure. 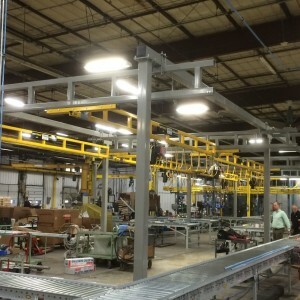 When floor space is limited, or access by other equipment is required where floor support steel would usually be needed, mounting to the ceiling if the ideal option. This does require that the support structure is suitable for the loads imposed. 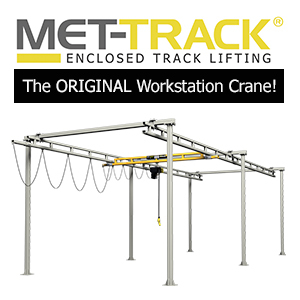 Our standard range of MET-TRACK® Workstation Jib Cranes are a perfect handling solution for supporting tool balancers, air balancers, hoists, vacuum lifters and welding equipment used in a close work area. Depending on the style of jib crane these are available with two standard rotations, 200° or 360°. A NEW Online Quotation Portal- CraneBUILDER® is available to all dealers providing instant quotations and generating engineered drawings ready to send to their clients!